About a year ago, I was at Joyride and I noticed a girl clearing the big box jumps. I mean, I've seen a couple of girls do them but no one quite as high and as controlled as Amelia Walsh. I turned to my boyfriend and asked, "who's that girl?" "I'm not sure but she's definitely a racer" he replied. It wasn't until a year later that I find out her name is Amelia Walsh and ironically, I bumped into her again at my local race track. Watching her ride, everyone was impressed how fast she was. Even the guys who were in expert, defeatedly admitted, "yeah, she'd win our moto for sure". Meet Amelia Walsh, Canada's fastest girl. How long you have been riding? I started riding in 2007 and racing in 2008. 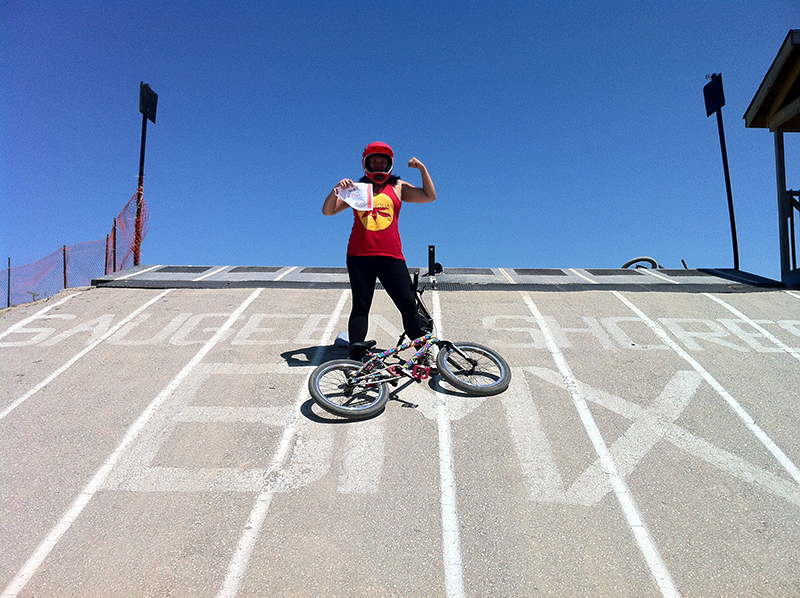 Sponsors: Clif Bar Company, Deft Family, Yess Bmx, JoyRide 150. I read that you moved to Vancouver with your brother to pursue your development in racing. Where did you move to and is it like boarding school, where you train, eat and ride at this facility? Is there much down time? My brother and I drove to BC early April and we are currently living in a basement suite with another teammate in North Surrey. That is basically our routine, eat, sleep, gym and ride. There are 4 different tracks in our area that we can ride at. There is a group of 8 of us that train together daily. 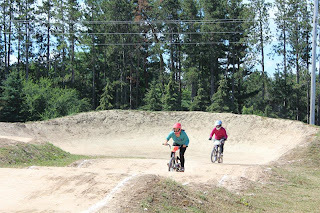 Training sessions are usually in Abbotsford where the Supercross hill is. As for down time it depends on what week of training we are in. Typically there are a few hours a day that are for recovery. Usually we just end up going to the beach after a track session. In a recent article, you were named the fastest girl in Canada. I think this is huge compliment, but do you feel the same or does it put a lot of pressure on you? I take it as a huge compliment and I feel honored to be called that. I try not to put to much pressure on myself. I just keep telling myself to have fun and ride my bike. With the 2016 Olympics coming up, can we look forward to cheering you on? What’s the process like to even be considered or invited? Is everything you’re doing now, pretty much to lead you to the 2016 Olympics? For sure! It is one of my main goals and I will do anything in my power to get there and compete. In order to compete at the Olympics, Canada as a country has to secure spots. Being said our athletes will have to do well at Olympic qualifying races (Supercross) 2 years prior to the games. 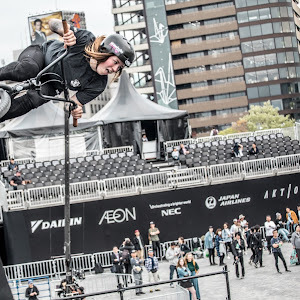 You recently went to the BMX Worlds in New Zealand. Could you tell us more about what the event was like, who was there, etc. The event was held at Vector Area in Auckland, NZ. The atmosphere of the arena throughout the weekend was unbelievable. During finals there was not one seat available. Compared to previous Worlds, this one was small due to the new format they were running. Like the Olympic format, your country had to qualify for spots from the previous year. Being said there was a smaller number of riders that were able to attend it. 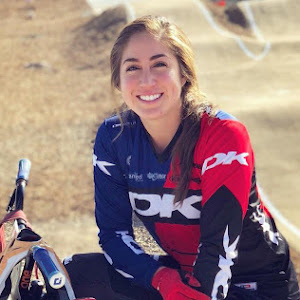 We were missing a Canadian representative in women’s BMX at the 2012 Olympics and there was only one Canadian in men’s BMX. In terms of being the best we can achieve, does Canada lack in anything that the Americans would have an advantage over. For example, interests in the sport, facilities, sponsors, etc. I think what Canada lacks is the competition. The US has way more riders than Canada, especially in the girls classes. Facility wise, we don’t lack as much due to us having the SX hill in Abbotsford and another one going in on the east coast in Toronto next year. Although this doesn’t really compare to the Olympic Training Center in Chula Vista, CA where there are replicas of both the 2008 and 2012 Olympic replica tracks. They also have housing at the Olympic Training Centre for a select number of US athletes. Below are questions from you, the readers! Thanks for sending these in! The mental side of racing is my biggest obstacle. There are some races I’ve been at where I have lost even before getting in the gate. I haven’t overcome it yet, but I am working with the team psychologist to help get around it. 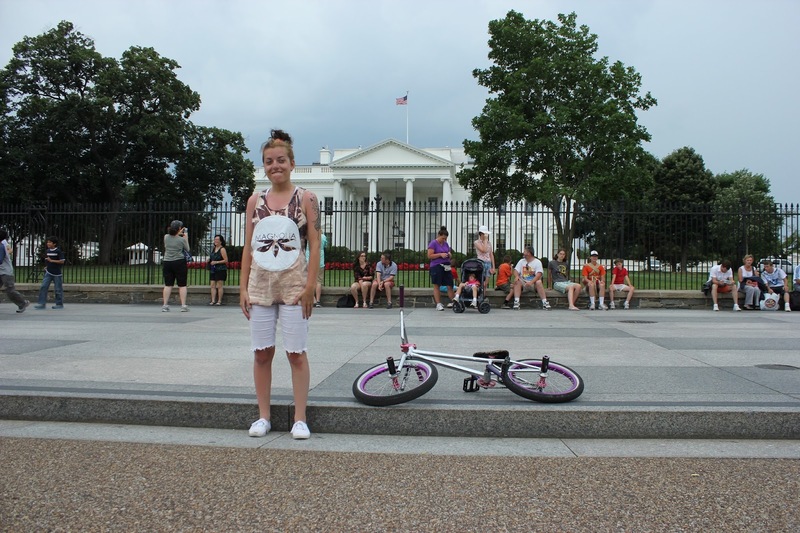 Who was her role model coming up through the BMX program? My brother will always be my role model in BMX. He was very supportive when I first started racing, and was always trying to get me to jump things. 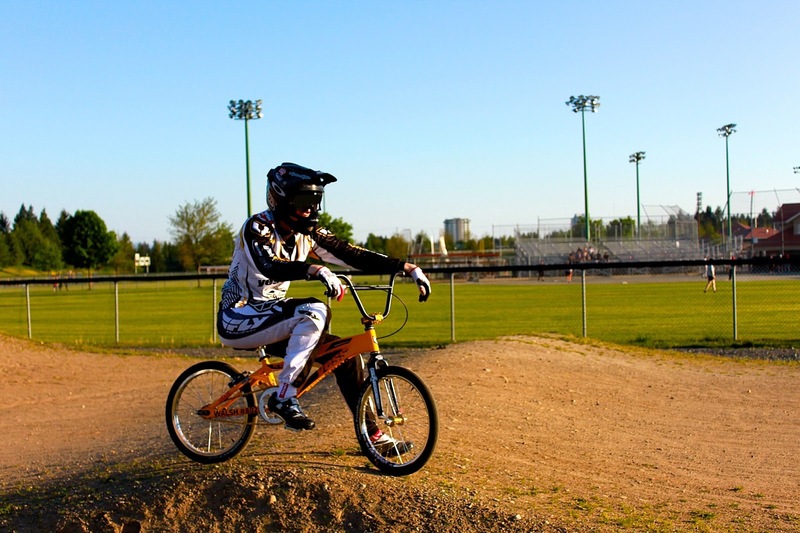 He is probably the most skilled rider I have seen in BMX racing. We train 6 days a week. Typically twice a day, a morning session and then a afternoon/early evening. Monday, Wednesday, and Fridays we are in the gym and Tuesday and Thursday are track days. I just eat healthy. Lots of protein ( ie chicken ), veggies and fruit. 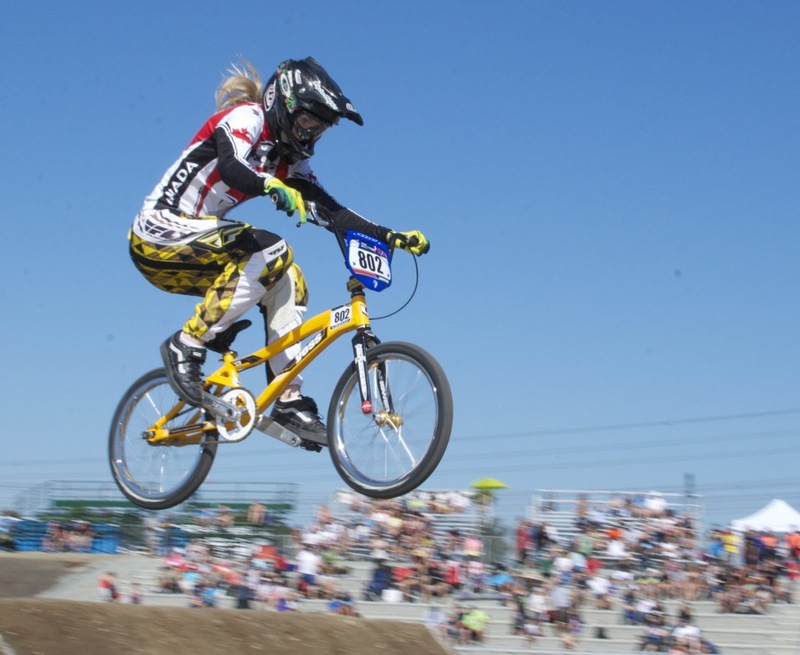 I guess now you’re coming home from the BMX Worlds, what’s coming up for you in the future? I’m taking some time off to let my body get back to 100%. I have National Championships at the end of August then I will in a 4 week training camp in Abbotsford leading up to the World Cup finals in Chula Vista California. To learn more about Amelia, checkout her website and social networks! The last few days have been super busy for me, I'm either working and racing afterwards or driving hours to race, but the last few days have also been the best - well, minus the working part. This past Sunday was my first provincial race and it was at Saugeen Shores. Today marks my 1 month anniversary of when I started racing and I'm slowly seeing improvements. I'm starting to ride smarter, along with riding harder. My gates are getting better, but still need a lot of work. By gates, I mean getting myself balanced at the gate, standing before it drops. 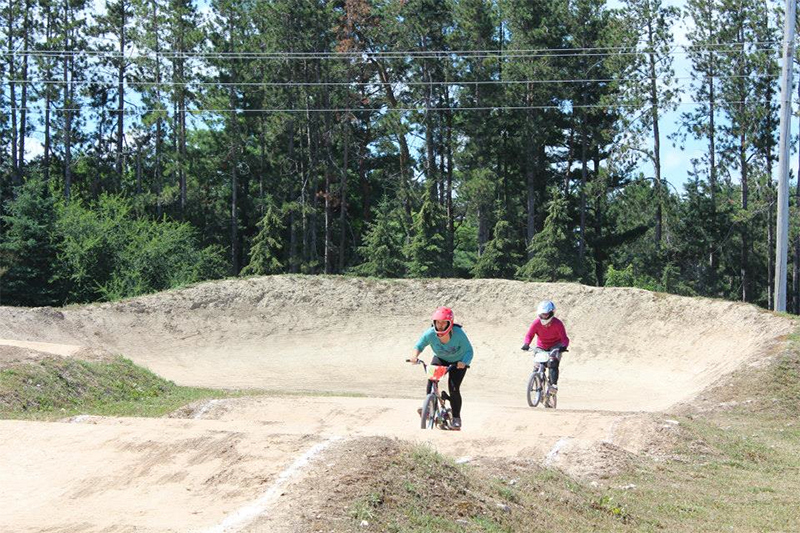 Saugeen Shores was a blast, the track was different from what I was used to. The hill is a lot steeper and the straights seemed longer. I competed against 3 other girls which included Christine Schiavone and Barbara Frost (I'm sorry, I don't know the other girls name!). I qualified 3rd, 2nd and finished 2nd in the main after Christine. The two pictures below were taken by Lori Cunningham. Saugeen Shores is a really cool town to race in, the track was next to a concrete park and 15 minutes away was Lake Huron. It was a great weekend and worth the 3 hour drive each way. @MagnoliaBMX yeowwww!! 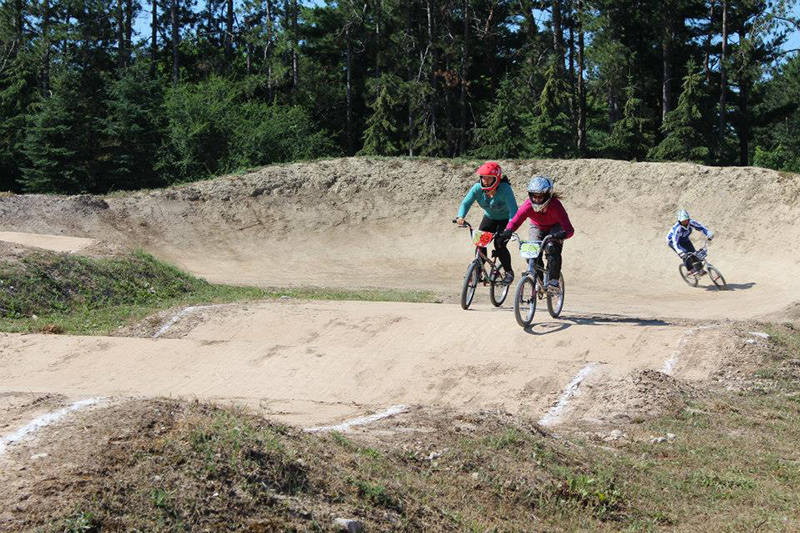 Awesome to see you shredding the BMX track! Yesterday after work, I raced in Milton, ON and got 2nd place - after Christine of course. These ladies have been super supportive and the family vibe has been awesome. If you're in the area, Milton's track 2000 will be having a ladies clinic at 10AM on Saturday July 27th. If you're interested in making it out, check out http://www.mbmxracing.com for more information. Left to right: Christine Schiavone, Barbara Frost, Me and Danielle Bernardi-Fisher - We're all really sweaty. Cami & Becci Soul Sisters Edit from Rebecca Berg on Vimeo. 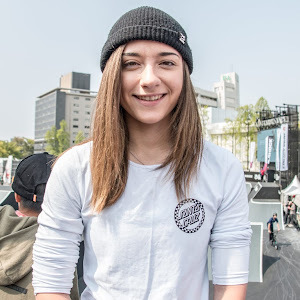 Watch this new edit from Camila & Rebecca who are in Cologne right now for BMX Worlds, good luck ladies! 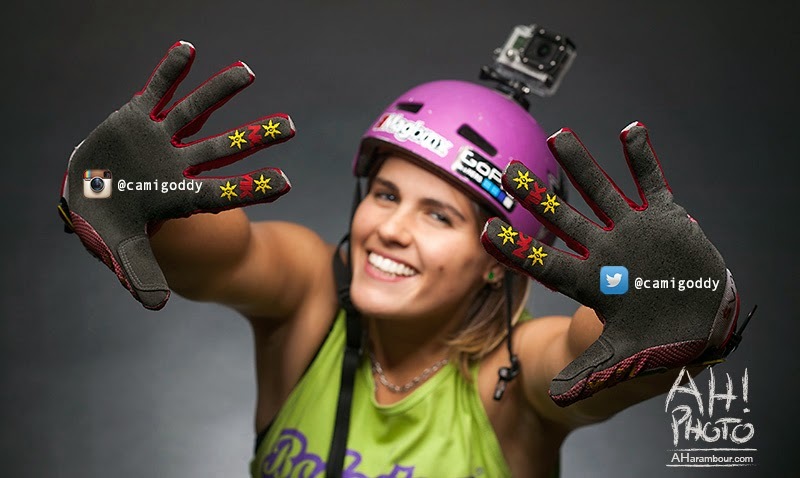 Give them some love by following them on twitter at @camigoddy and @beccibmx. I'm Nisa from Thailand. I'm a new flatland rider. I just start to ride flatland almost one month and I'm trying to practice the basic tricks. I ride flatland because it's a beautiful sport and I fell in love with it so deeply. I feel so free every time I hold the handlebars. I can forget the entire problem that I've got for a day. At first, I think this sport belongs to a boy but it's not true. 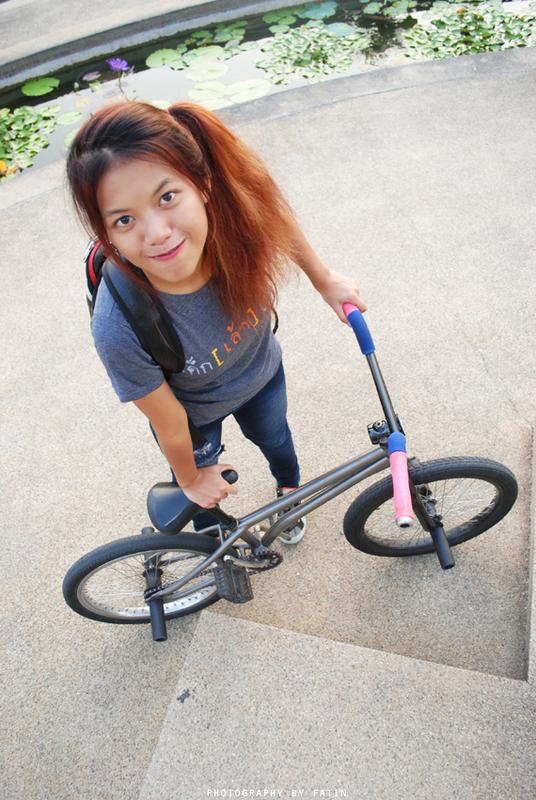 I saw many girl flatland riders on the internet last month. They make me know that girl cay play this sport too! After that, I decide to ride flatland and got many help from my flatland friends. 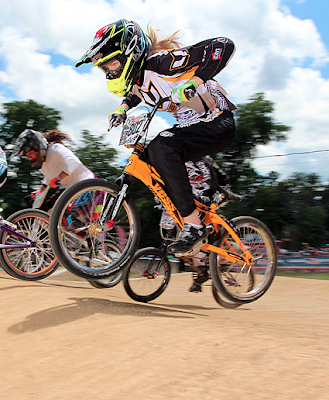 So in my country there is a few girls that ride flatland. Happy Memorial day and Canada Day, my yanks and hosers! 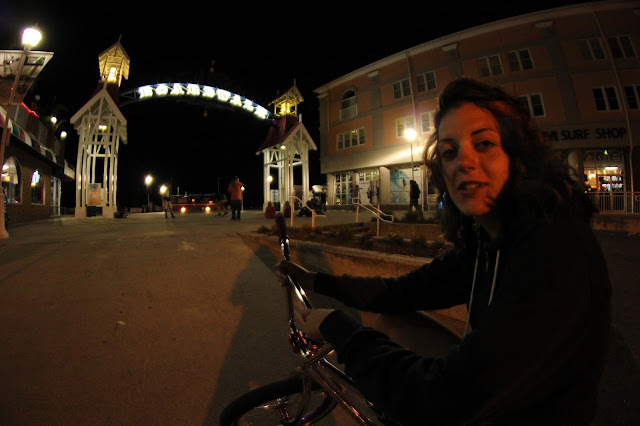 Here’s an update from our girl Brooke, who just came back from a weekend Dew Tour trip in Ocean City, Maryland. 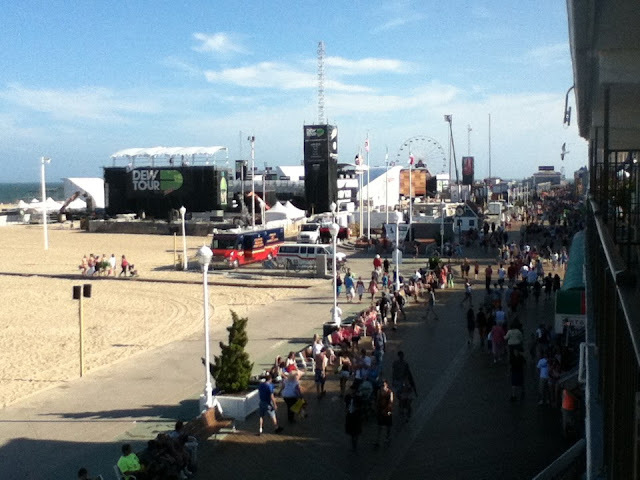 I recently went on a weekend trip to Ocean City, Maryland for the Dew Tour and watched my boyfriend compete. Also got some sun, swam in the ocean and saw some sweet concerts. The last day had cool light show to rap the weekend up. The next day, we ended up driving to Washington, DC to see the White House and then headed to New Jersey for a few days after and went to Philadelphia to ride a skate plaza that was really cool. At this point, I’ve been gone for a good 2 weeks. Being in a car for over 48hrs all together can get really tiring, so I'm glad to be back home, chillen with the family. Who knows where I'll be next! !